Do I drive mostly in the city, in rural areas or on the highway? Do I spend a lot of time on the road during winter? How long am I going to keep my vehicle? You don't spend a lot of time on the road and mostly drive in the city and occasionally in rural areas? If you live in a city that gets a significant amount of snow, snow tires will prove more efficient than ice tires. The tread of snow tires is equipped with large blocks and deep grooves that allow better traction in snow and efficient slush evacuation. And when you get out of the city for a trip to the mountains, you'll be safer with snow tires. The Hercules Avalanche X-treme and the Goodyear Ultra Grip Winter are both excellent choices if you identify with this description. You're always on the road and mostly commute on the highway? You'll be better served with ice tires, as their tread is especially designed to quickly channel the thin layer of water that usually covers ice. 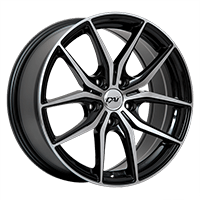 Here are a few models that should answer your needs if this profile fits you: the Michelin X-Ice Xi3, the Bridgestone Blizzak WS-80 and the Continental WinterContact SI. You're the type of driver that uses secondary roads on a regular basis? You may want to consider studded tires. Roads in rural areas are not always ploughed and can be very dangerous. However, with studded tires, you get all the biting you need on ice or snow-covered surfaces. Certain models we named earlier are studdable, like the Avalanche X-treme, but others are worth mentioning like the Altimax Artic from General Tire or the Firestone Winterforce 2. Studded tires are a great option for people who mostly commute in rural areas, but if quiet driving is a priority for you, you should probably go for regular winter tires. Is it Worth it to Pay More? For many people, buying winter tires is a big investment. 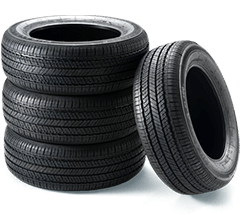 But as you may know, tires are a crucial part of your vehicle that you should not underestimate at the expense of your safety. If you plan on driving your vehicle for a few years, we strongly advise that you purchase high-end winter tires as they are significantly more durable. However, if you know for a fact that you are going to change cars soon, there is no point in investing a large sum of money in winter tires as they probably won't fit your new vehicle.